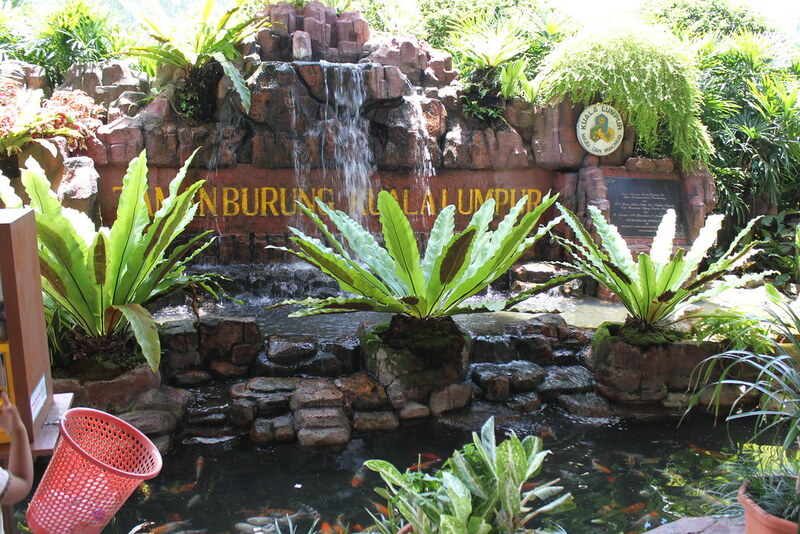 Known as the World Largest Free-flight Walk-in Aviary, Kuala Lumpur Bird Park well-deserves this title. It’s a hot day in Kuala Lumper, or let me put it this way: it’s hot year-round here The temperature recklessly goes up to 32 Celsius, I am almost scorched! Vesic and our two companions have been walking under the sun in KL city center for three hours, my shirt is soaked with sweat, and I need ten more bottles of water to quench my thirst. I think we are the only four fool tourists, trying to walk through the city on the foot, we only meet three other tourists from HK on foot, but they decide to take a taxi back to the hotel. “Our hostel is just ten minutes walk from here, should we walk?" Lee asks. He is the strongest man of the four, he seems ok with even 50km to walk, but he is worried about me. “I don’t know. " We have been walking around the KL center on foot these days, to most of the spots and shopping malls, it seems fair we preserve our energy in the hostel for another night market tonight. But the desire to explore new things keep calling me. “Let me check first ok? I want to know if there’s some better activity for our exciting afternoon. "I take out “Things recommend to do in KL" paper and quickly look through, find a place we haven’t been to. “We haven’t visited the Bird Park, right?" Hearing the word “bird", Vesic’s eyes sparkle with excitement, “Of course we go." he always has a passion for animals, going to bird park seems to be the most gorgeous destination for him.But I just couldn’t get up the gumption to watch animals especially birds. “Seems good, it’s ok for me, bird park is not a bad idea." Lee supports Vesic. “Alright, let’s go"Since I don’t want to walk under the virulent sun, and I am tired of shopping, but I hate myself stay inside the hostel more than above, bird park seems to me now an good idea in comparison, and I heard tropical birds are more colorful for their plumage as camouflage in the tropics. So I decide to take a look. We jump into a taxi rumbling away the city center up a small hill. Fifteen minutes later, we are left in front of a tropical park. “RM48? " The ticket costs a bit high, but we have spent the transportation fee coming here, and there is no other place to go nearby on this hill unless we take the taxi back to the center, so silly! “Well, we have no other choice but go in." Vesic points out the fact. “Yeah, we don’t wanna do nothing here but take the silly taxi back"Kan says, he is always scheming something but never talk. This time he agrees with Vesic’s suggestion. “Ok, I will get the tickets, let’s make havoc in the bird park" I take out my wallet walking toward the wicket. RM192 flys away from my pocket, and we get the tickets to enter the gate. We push the iron gate and walk in. 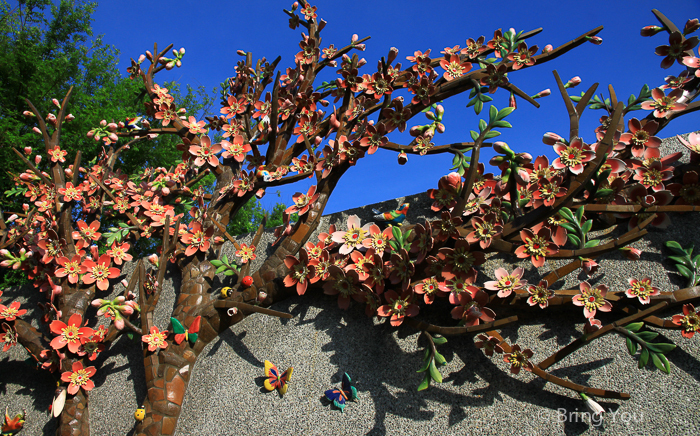 The temperature is extremely high in the afternoon, but luckily, in Bird Park, we are shadowed by green verdant tropic trees, which moderate the burning sun into warm summer heat. 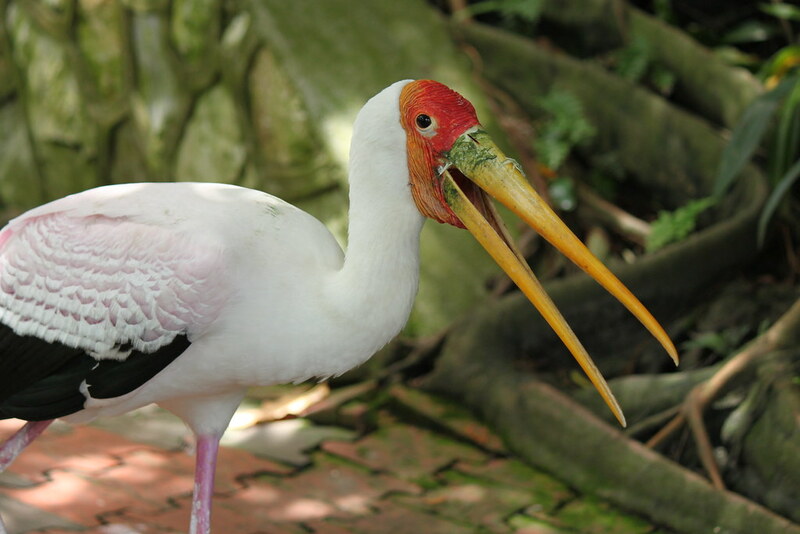 KL Bird Park is divided into 4 Zones with different type of bids, and each zone are separated by an iron gate, so that the free flight birds won’t slip into other zone. We walk through Zone 1, the first area from the entrance. 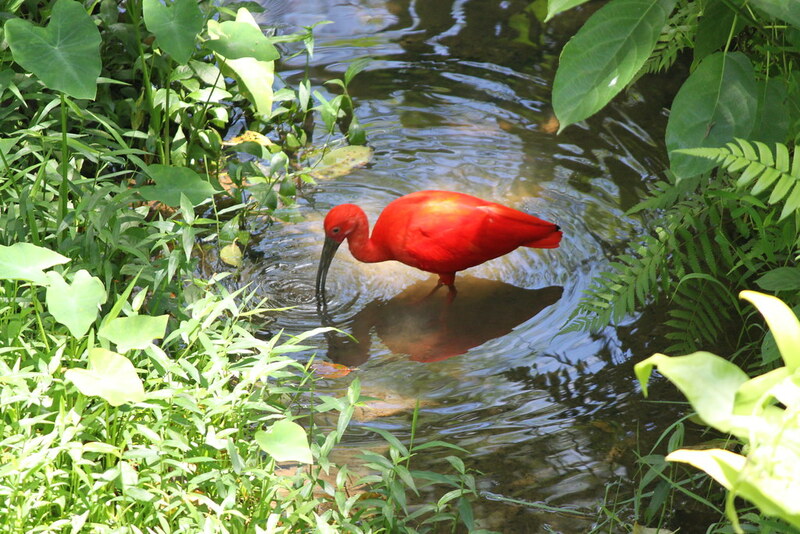 It seems we visit at the wrong time, most of the birds are taking afternoon nap in their warm place, so indolent. But we also see many vigorous peacocks walking around the park, like the slogan of the bird park, birds are free flight and walk-in in KL BP. A peacock just hop out from the bushes, it’s sudden appear shocked us all, but for it, just like walking out from its home, and staring at those freaks with head awry, thinking what we are doing out of it house. But soon the stalemate is broke while a little girl starts chasing the poor peacock. The peacock has almost the same size as the girl, but its speed is behind, soon it gives up running with legs, spread it wings wide and fly up to the tree. Ha Ha, see who’s the laurel here. After half an hour hiking in the jungle-like trail, we enter Zone 3, crowds of blazing red figures come into our view, they are playing and sleeping in the pond, and the drop on their feather shines like ruby under the sunshine, we sit on the stone around the pond, watching the flamingoes twist their neck with each other in a funny scene, sometimes they will fly near the edge of the pond so that we have a chance to take a close look at them. Flamingo does not walk around the park like the peacock, they spend most of the time forage and sleep in the pond. Almost at the end of the Zone 3, we finally see the tropical bird: Hornbill, its characteristic down-curve bill attract us, the bright mango color, gradient from red, orange to bright yellow is so beautiful. But we only have the chance to watch it from outside the cage. In the Zone 4 world of parrots area are parrots of kinds of species. 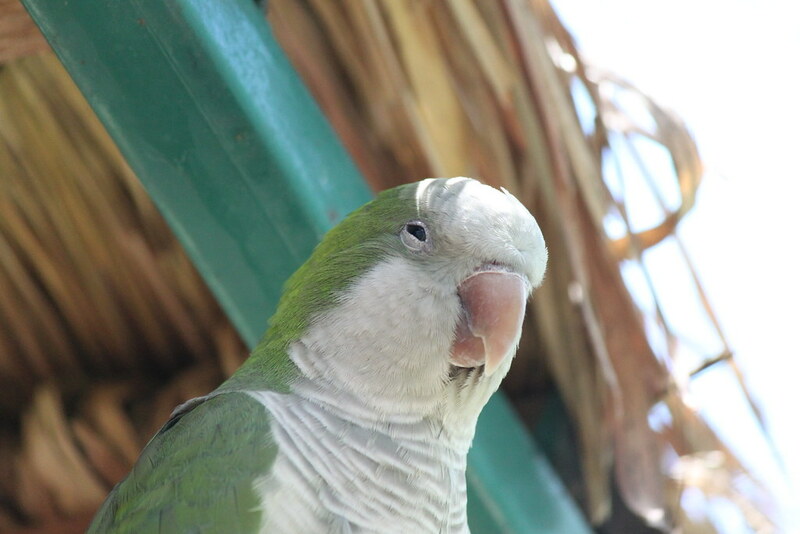 As I know, after patient training, there’s high possibility the parrot have the ability to talk, so we try to communicate with some parrots, looking for the one who speak, but seems most of them do not understand English or Chinese, until we totally lose our passion, we decide to move to the next area. Just then, a cute whispering like a little baby says “Hello! ", we quickly turn our head around, it’s the small pink parrot, scratching its claws on the chain link fence, looking so curious about the outer world. Its size is so small only as my palm, we try to say more “Hello" to her?, but it look at us for along while with her mouth shuts tightly. We figure out that she may only talk when you leave her alone, so we pretend walking away, and she does talk again “Hello". I think the RM48 worths enough after three hours in the bird park, there’s not much places with such open area for birds to fly around freely, and have a really close look at them in city area, I had a chance holding sheep in a big farm in Taiwan, they have a large grassland on the hill, and hundreds go sheep freely walk around the area, but those are bigger, gentle sheep, for bird watching, I think Kuala Lumper Bird Park is really a wonderful place to come and visit. 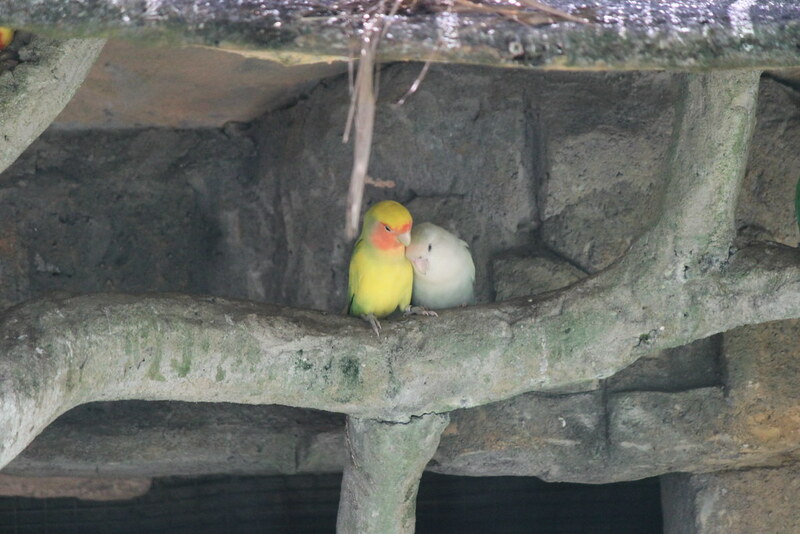 Love birds lean close to each others. 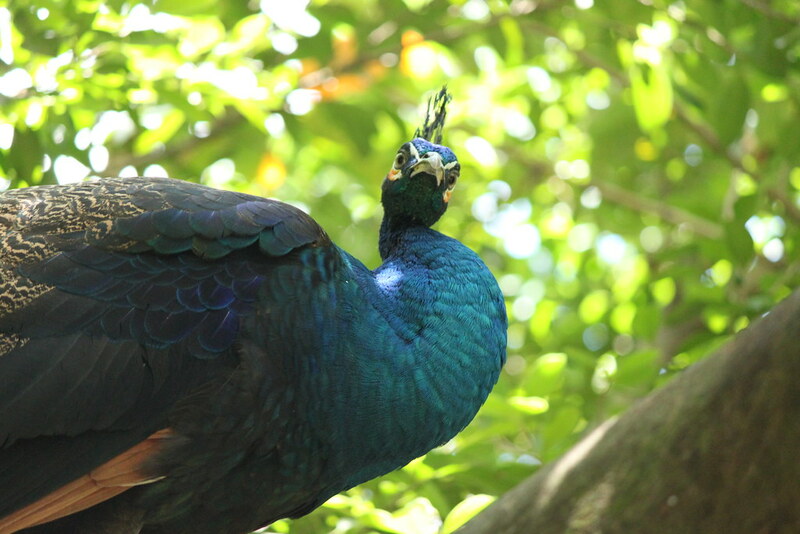 Peacocks are uncaged, walking freely around the park, sometimes we can see them on the bough, sometimes hide in the bush. 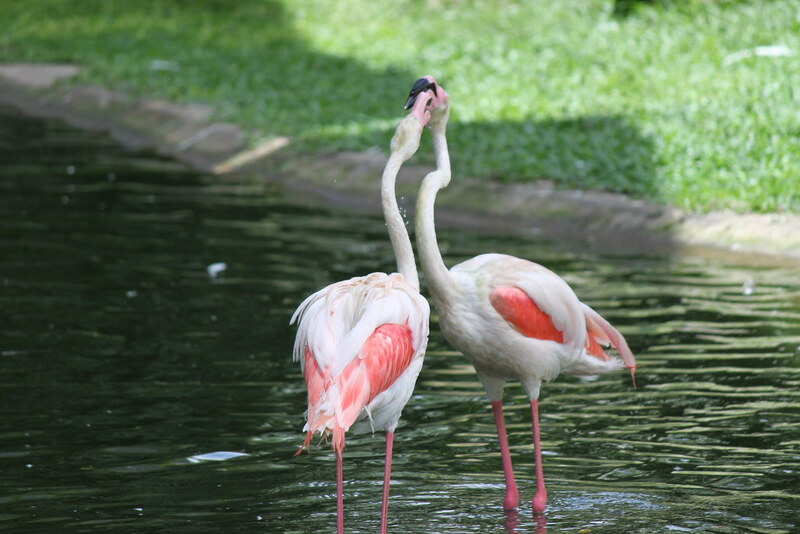 Flamingos play with each other. Ecological, Malaysia Story bird park, kuala lumpur, peacock. permalink.